Crammer and Wasiak's Change the Way You See Everything is about "Asset-Based Thinking" -- increasing your focus on what is right, rather than what is wrong (deficit-based thinking). The book starts off with the premise that our brains are hard wired for DBT that makes us concentrate on personal gaps and weaknesses rather than our strengths. However, while the words have changed, it is basically what Donald Clifton writes about in Soar with Your Strengths. While neither book does much to back up their point with any evidence as they lack any real research, the Parable of the Rabbit, from Clifton's book, is perhaps the most interesting part of the two books and more than likely all you need to read to understand what both authors are driving at. However, the real point of the post is the way Crammer and Wasiak's book is designed -- pictures fill up the pages just as much as the text, if not more. While I like a good picture to help understand or reinforce the text, it seems that Change the Way You See Everything goes beyond this. While beautiful to look at, it seems, well, quite gimmicky. 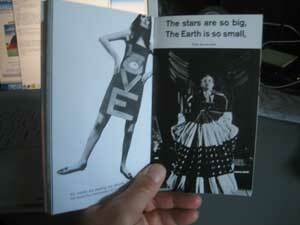 Many of the photos do nothing to help understand the book. Perhaps the one book that pulled this off successfully was McLuhan's The Medium is the Massage, who uses pictures to create a montage demonstrating the effects of the media. This typographic experimentation by authors can be quite good at times, such as Rick Moody's The Diviners. While the book was only so-so, the author blocked out a page of text to depict a page read by a character that has itself been blocked out, leaving only the words "such" and "thirst." If the visual carries the same narrative weight as the text itself, then it often becomes superfluous, and if it replaces the text, then it almost seems to become a shorthand for language itself. 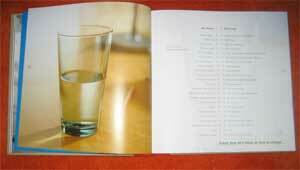 Yet if the author is successful with the visual, then it works in parallel with the text to promote understanding. As a learning designer, how do you know when to use a visual? And when do you know to stop before it comes to the point of being gimmicky? What's a CLO to do? Recently I've had the circumstances to discuss the role of a CLO in a couple different environment. With the new input I've discussed and pondered, I've come to a high level definition of what a CLO's responsibilities are. Would love feedback from anyone who cares to chime in by commenting on this post. A CLO’s responsibility is to create an environment in which all involved are meeting the company expectations for performance and are exceeding their personal value proposition. Creation of this learning culture must be executed in a fashion that is effective, of the highest quality, efficient and meets or exceeds the company’s financial expectations for the work. 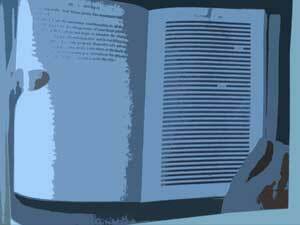 RESOURCES – What type of resource (printed, online, people, tuition reimbursement, etc.) will vary. What is vital about resources is that they be up-to-date, accurate, timely and accessible. TRAINING - At times people want and/or need to be taught directly. Training should be clearly aligned with enterprise and personal expectations. CONNECTIONS – The CLO helps people connect with one another to enable learning between people. This would include work teams, affinity groups, professional practice networks, expertise databases, collaboration tools, techniques to enhance interpersonal communication. CONSISTENCY – Consistency helps people anticipate what is likely to happen in a given situation. Being able to predict accurately what will happen, creates a pleasurable reaction in the human brain that counteracts any fear that my be arising because of change. Consistency must be achieved both horizontally and vertically. Horizontal – This is consistency across training offering or the design of online learning modules. 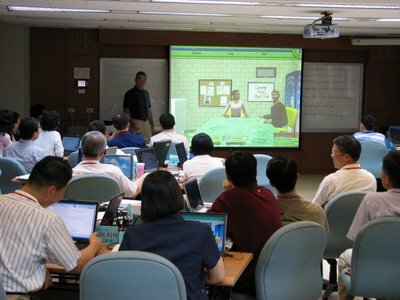 When content, processes, or situations are created to share common components, the resulting consistency provides the learner with the opportunity to focus on the real tasks, rather than being mired in trying to figure out how a book is written or how a software program can be installed on their computer. FEEDBACK - Whether in the form of formal evaluations or surveys, after action reviews, or simply deproccessing the day’s events, a company has to practice being reflective. Self-reflection is difficult as individuals. When group-think settles in options and possibilities begin to shut down. Real people and avatars? Coaches, students, and characters? Teammates and competitors? Buddies? Colleagues? Leader and followers? 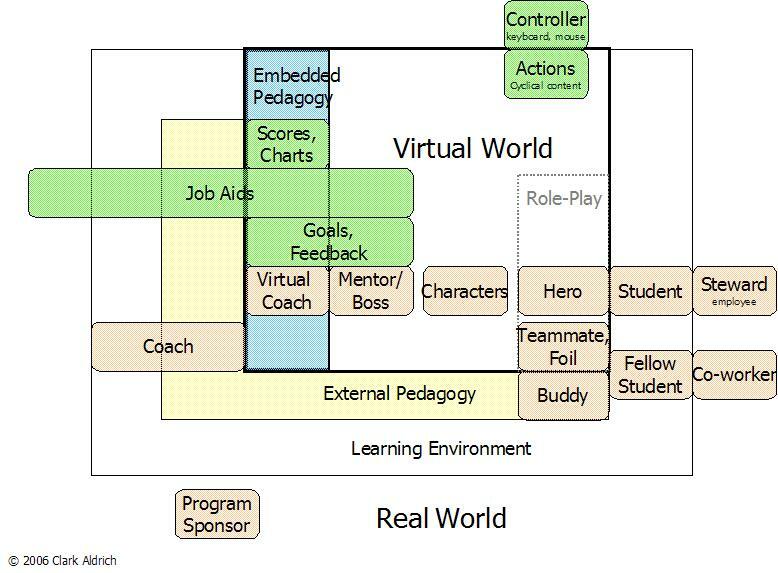 A challenge in discussing educational simulations is that the same person has different roles, depending on if you are looking at the context of the virtual world, the classroom, and the real world. 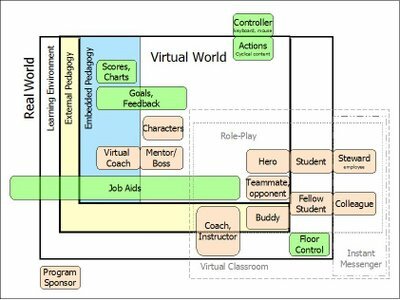 For example, the same person can be a hero in the context of the sim, a student in the context of the class, and a project manager/steward in the context of the enterprise. Likewise, coach can refer to an embedded, pre-scripted avatar and/or a real person. 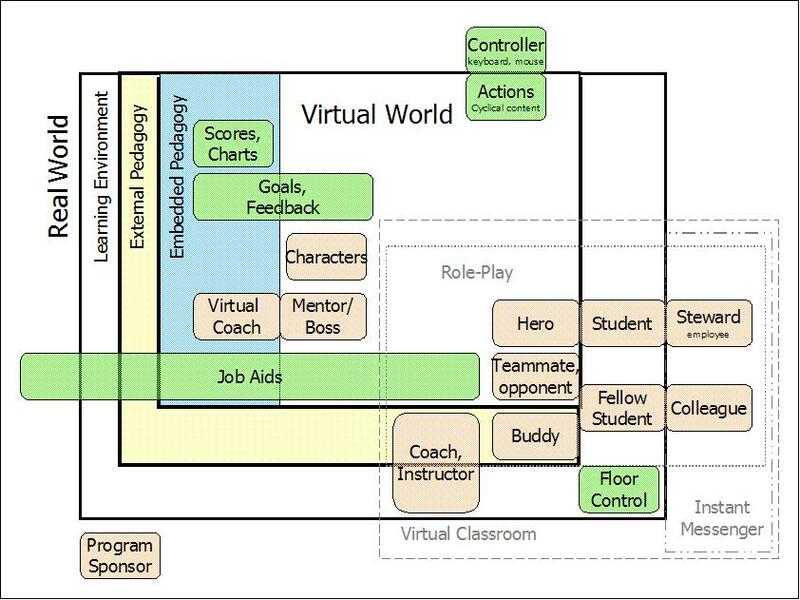 It is further interesting to note what a simulation adds to the more traditional concept of a role-play. Productive comparisons and best practices require a common vocabulary. I have working definitions of all of these role, but here's a first draft at a chart to put it all together. As always, I would appreciate any feedback.